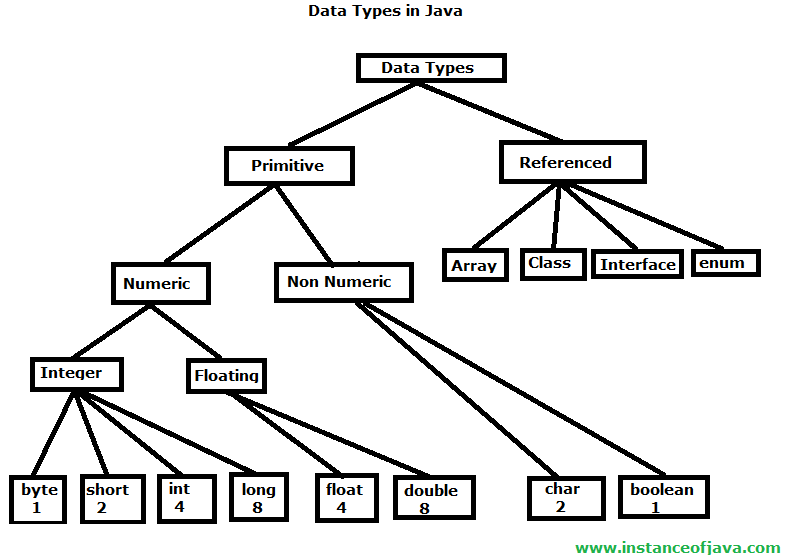 The data type will specify the type of data that will be stored into a memory location. Default value for all these types is "0". Due to this limitation we have to face 2 problems. For instance if we want to store multiple values, for example 1 to 100 , we must create 100 variables. All those variables created across JVM at different locations as shown below. Hence it takes more time to retrieve values. Also using variables we can not pass all values to the remote computer with single network call, which increases burden on network and also increase lines of code in program. To solve above two problems, values must be stored in continuous memory locations with single variable name . This can be possible using referenced types. Referenced types are given to store values in continuous memory locations with single variable name to retrieve data in quick time and to pass all values with single network call.